Tattoos symbolize a person’s identity or preference. 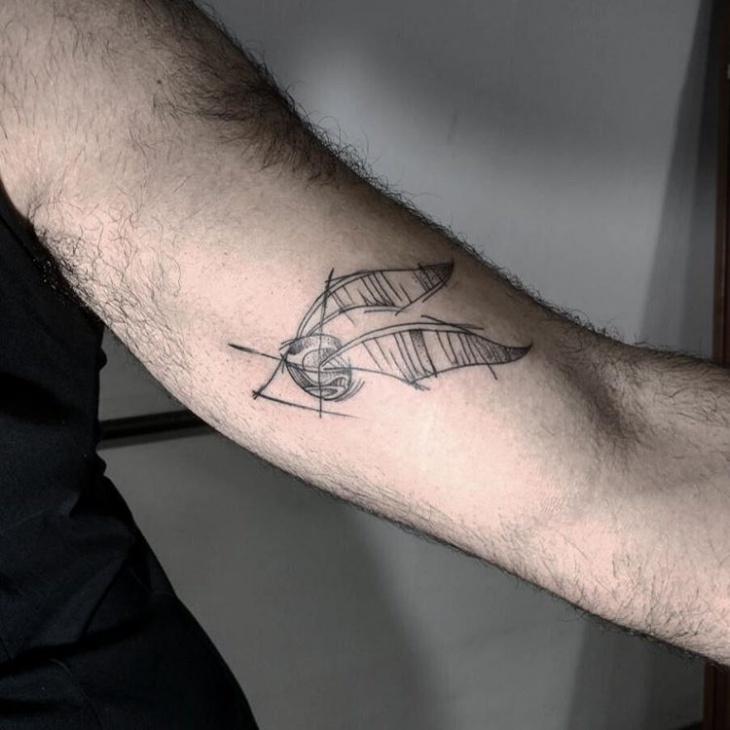 In some cases, tattoos tell a person’s life story. 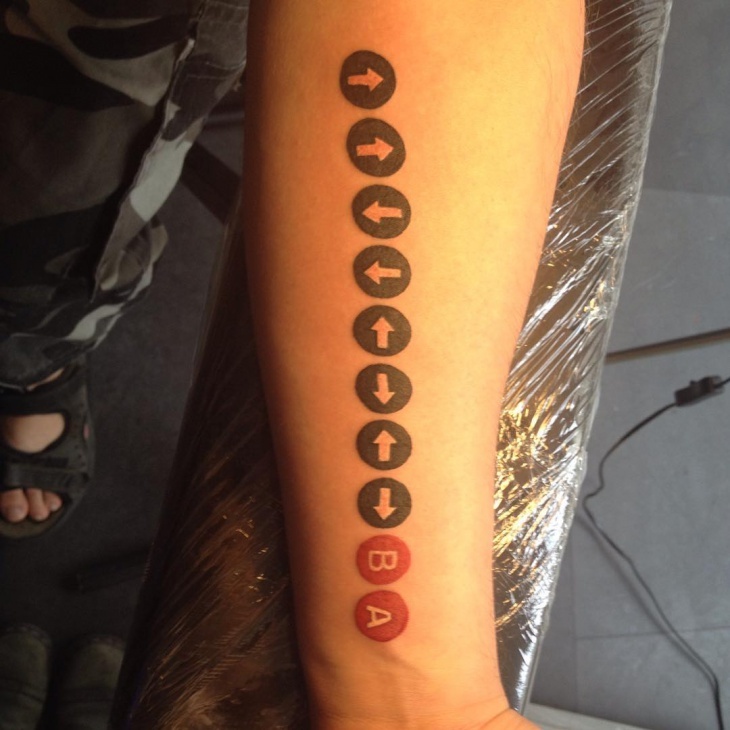 One of the most commonly chosen tattoo designs is the Geek tattoo. 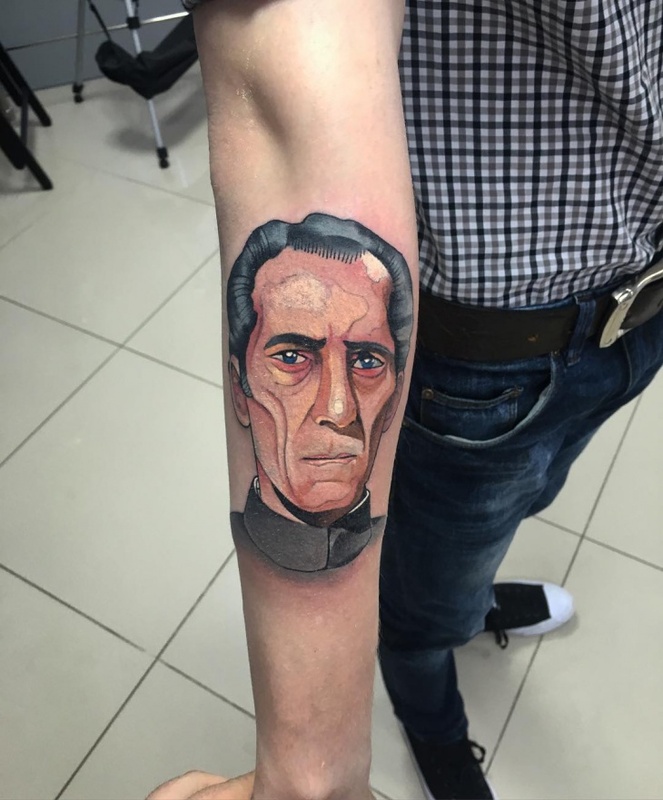 These are nerdy tattoos, which can be created using different features and characters. Computer characters are ideal features for tattoo designs if you are a computer geek. For people who are into anime, cartoon characters are the most common choice. 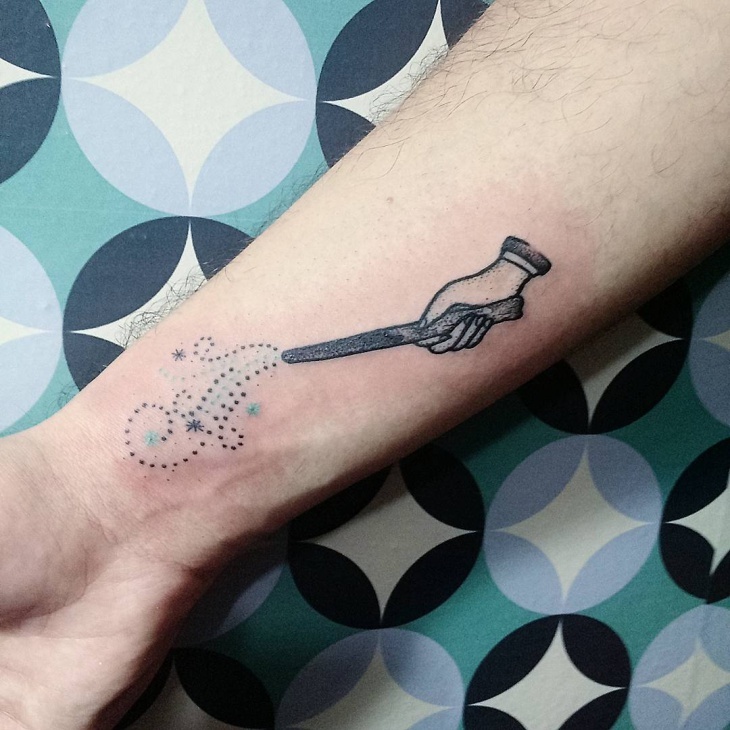 Geek tattoos can be cute, flashy, minimalist, colorful, simple or complicated in design. 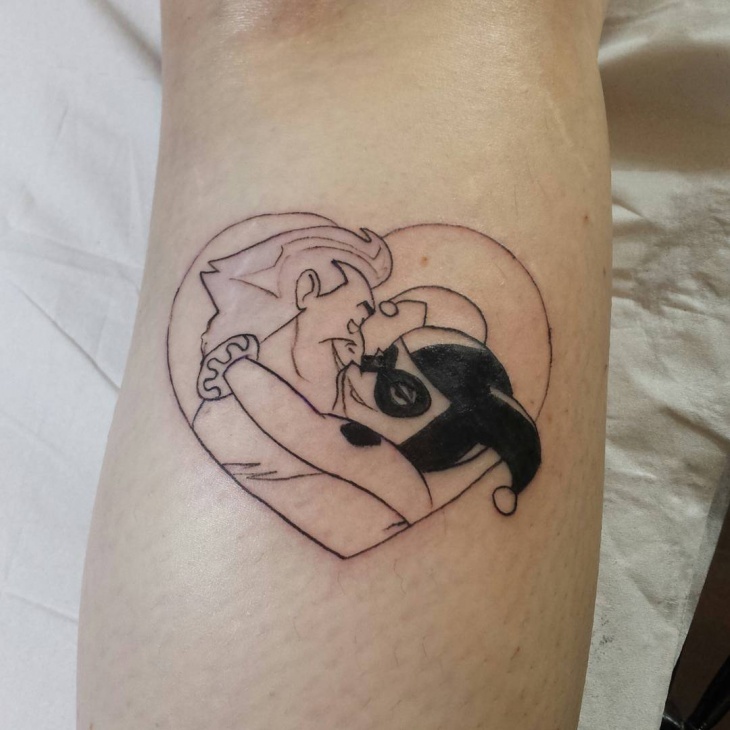 This geeky couple tattoo is perfect for Batman fans – especially those who are followers of Joker and Harley Quinn. It is cute and minimalist with focus on simple lines, yet the result is eye-catching and interesting. 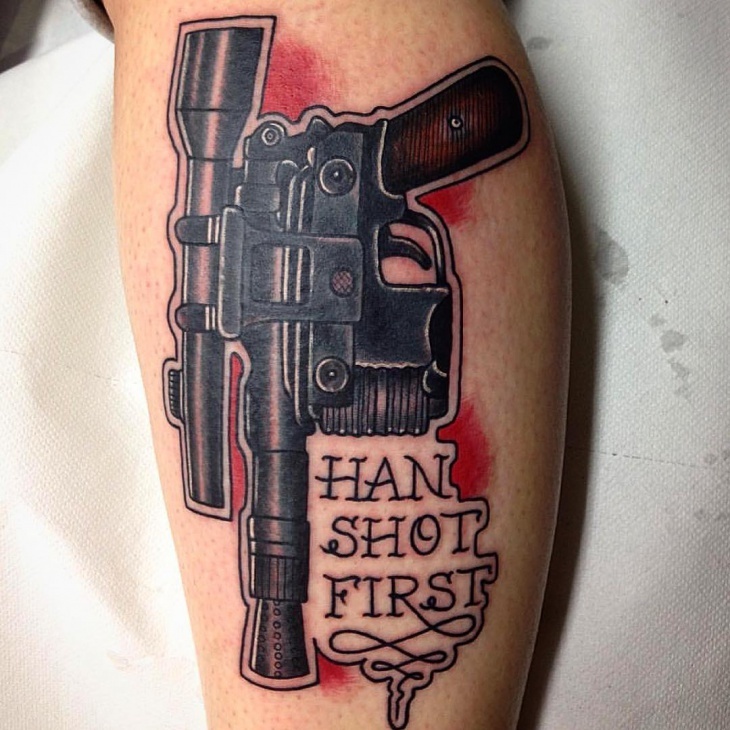 This pistol geek tattoo design is based on Han Solo’s blaster pistol. 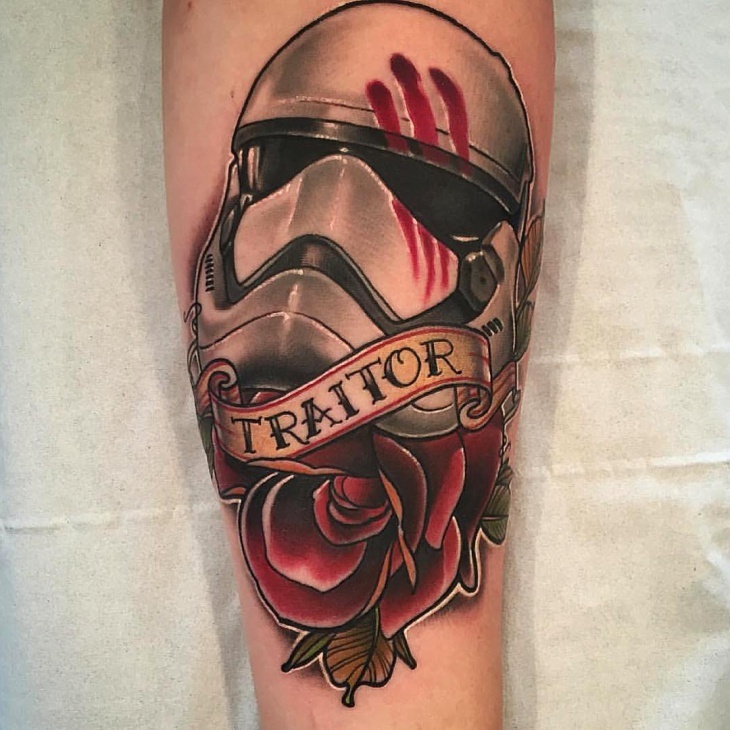 This means that any Star Wars fan would love to have this design inked on their skin. This is a perfect design for the arms or legs. 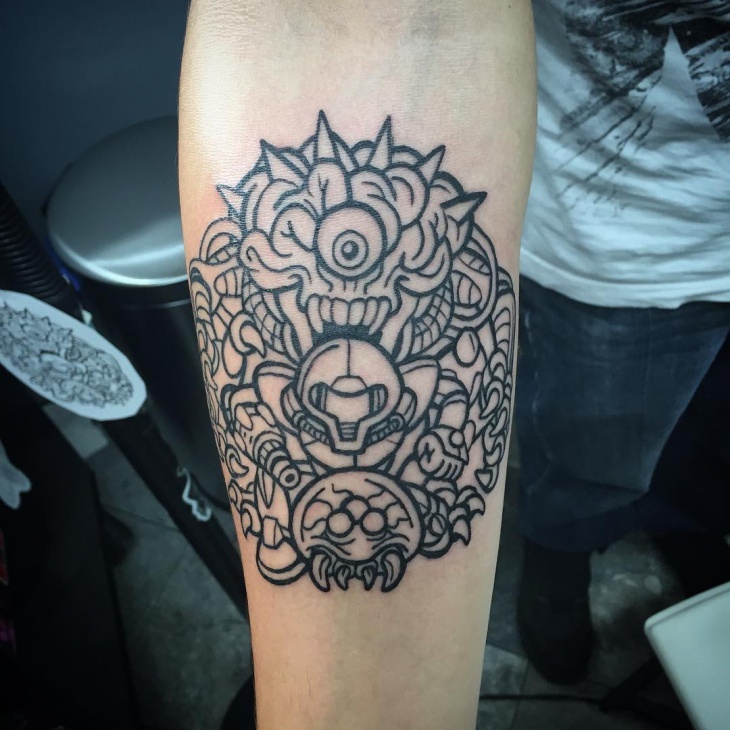 This is an elaborate geek tattoo that would definitely appeal to Metroid gamers. The black and white motif brings out the images (monsters and a main protagonist). 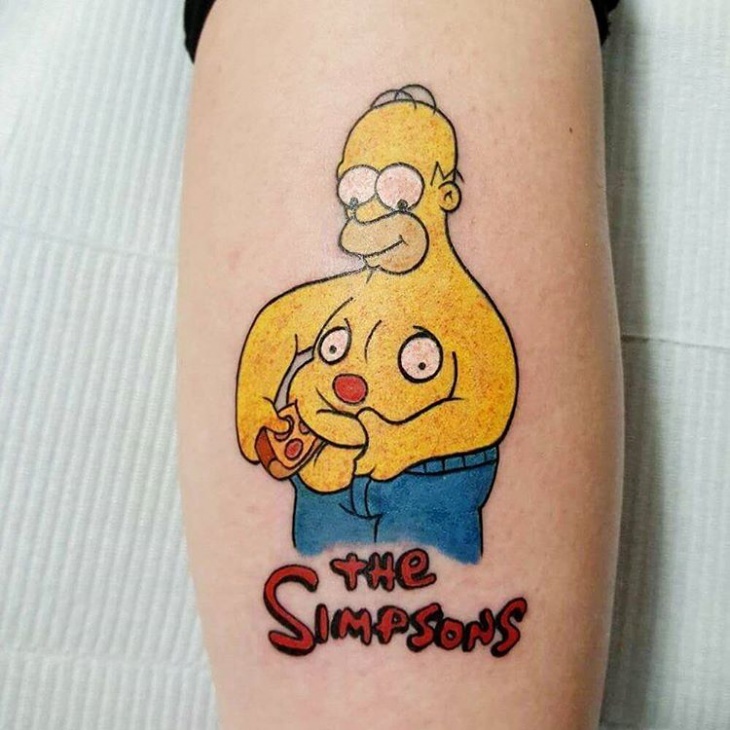 Cartoon characters are some of the most chosen images for geek tattoos. 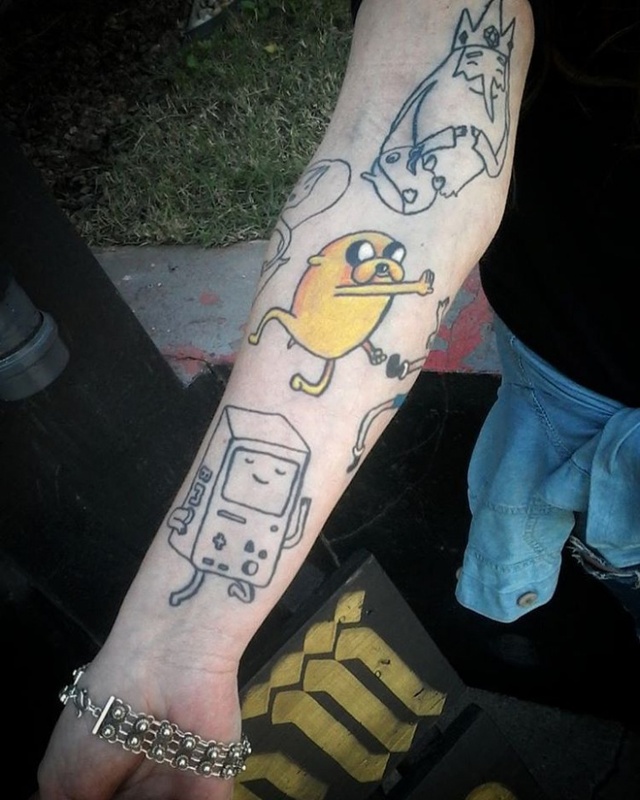 For this specific design, the characters of the cartoon series Adventure Time are used. Visible are Jake, Ice King, and Bmo. Wonder Woman is probably one of the most popular female fiction superheroes in the world. She has been played in TV series, movies and different cartoon series. 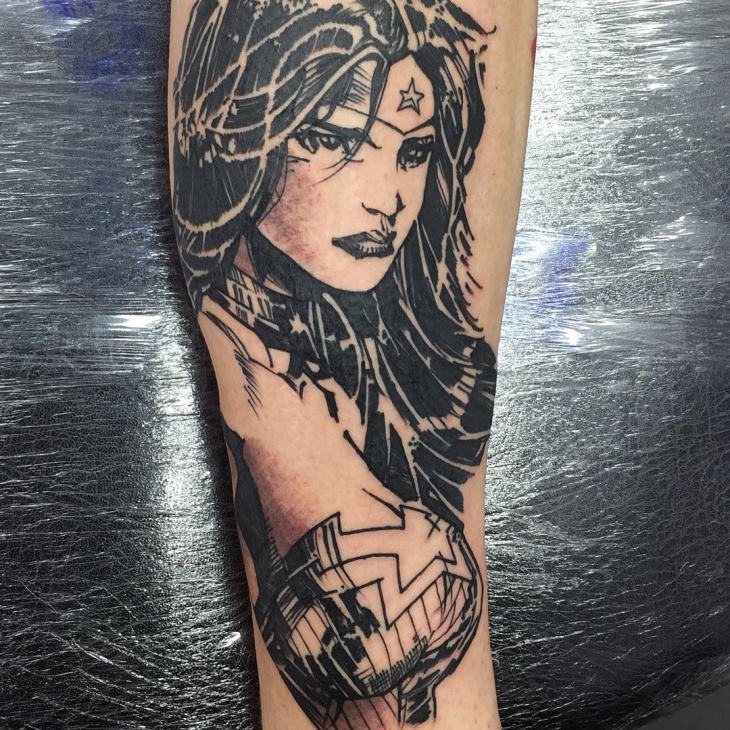 For this particular geeky tattoo, this leading superhero is drawn in elaborate and beautiful design. 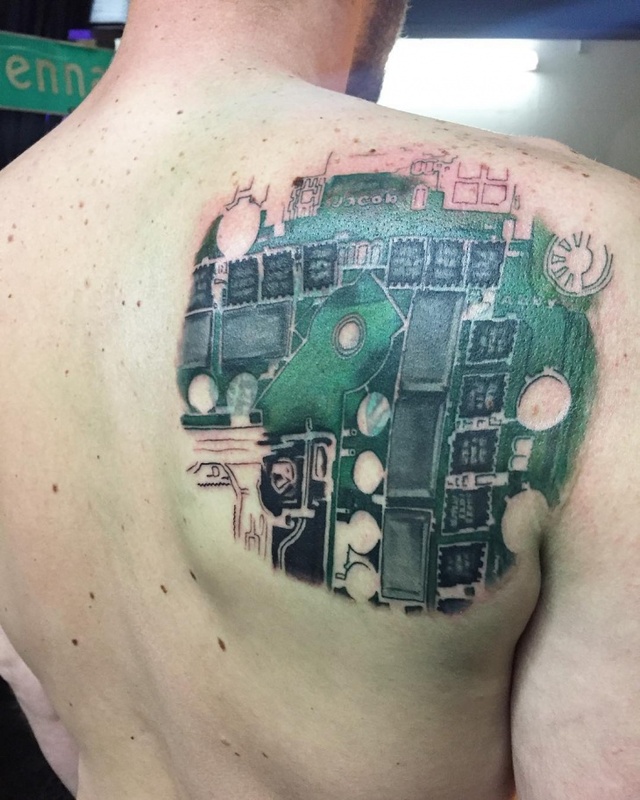 This nerdy tattoo design is colorful and certainly geeky. 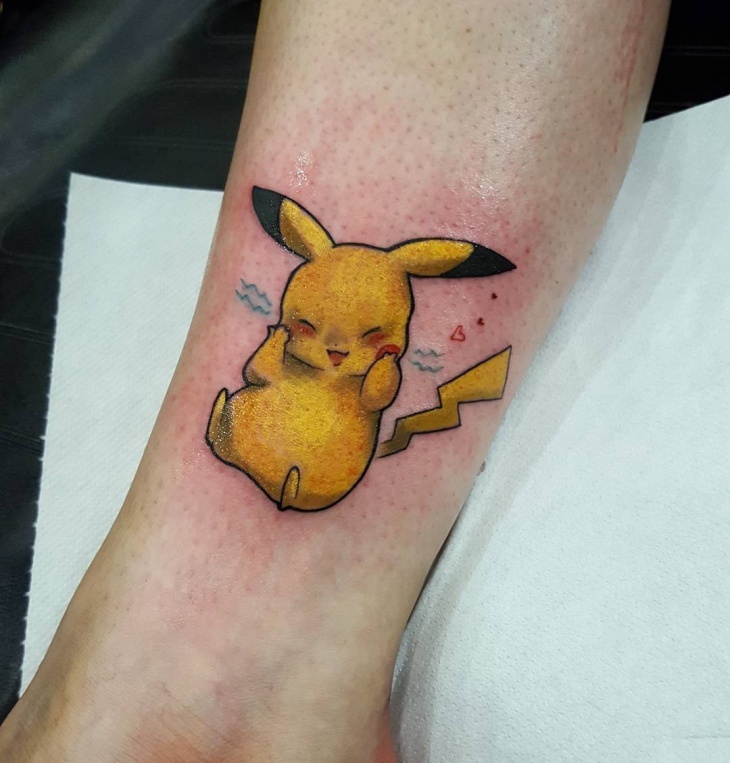 This would appeal to the young people who like cuteness overload designed on their skin. The floral feature adds a feminine touch to the design. 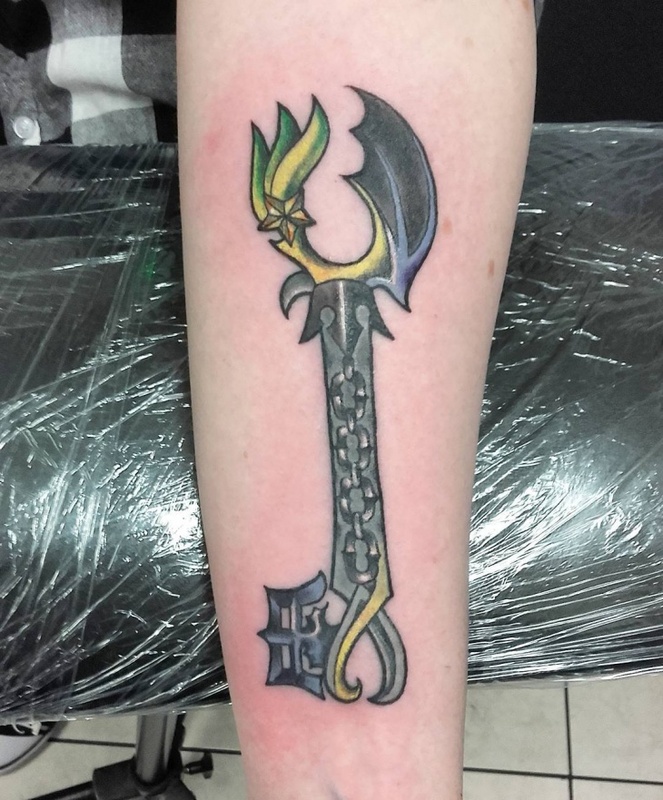 Gothic theme fanatics would love this geeky key tattoo design. The colors used are minimal with the theme focused on the beauty of black. 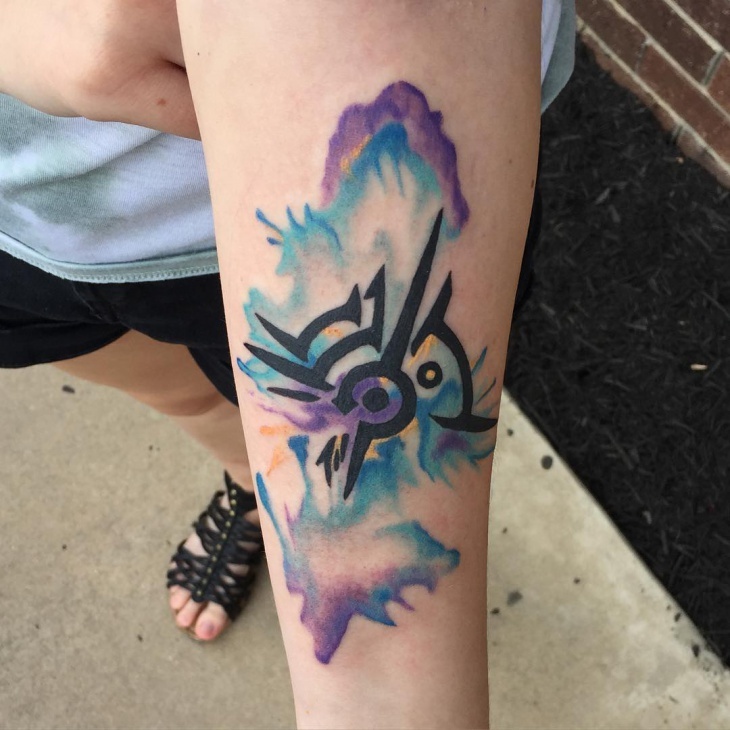 This tattoo design is not too flashy but it is certainly eye-catching. 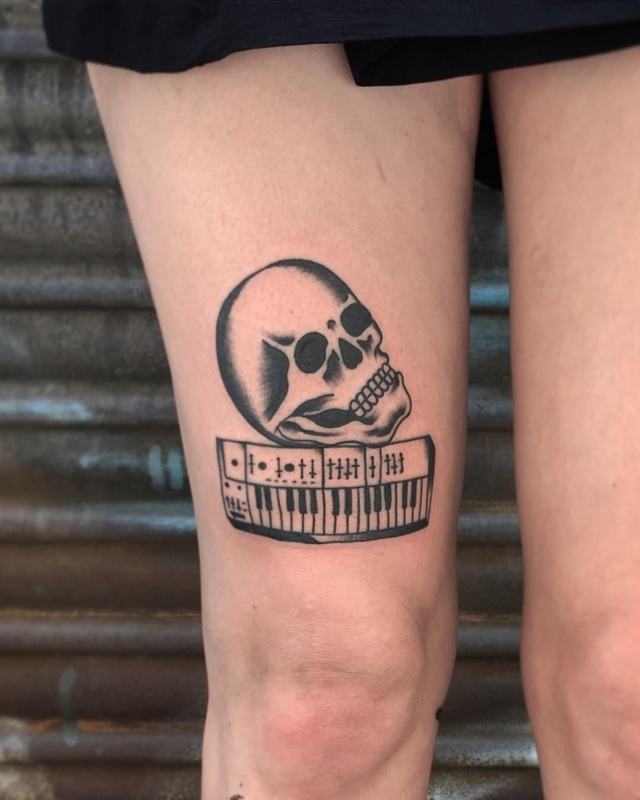 Piano keyboards and skulls may not be ideal combination for tattoo. 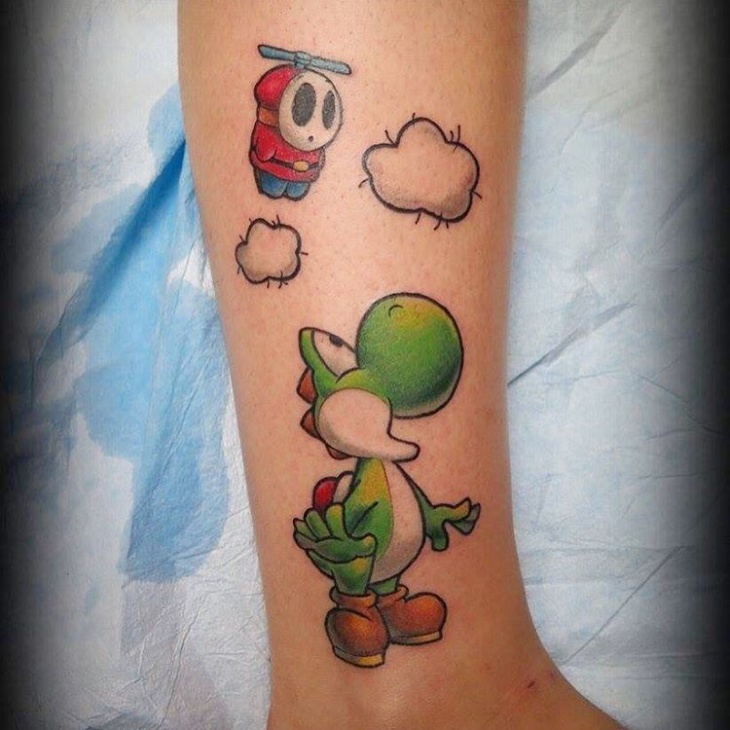 Somehow though this tattoo design is created effectively that the two main features managed to look good together. If you are geeky and unique in your taste, you may want to try this design. 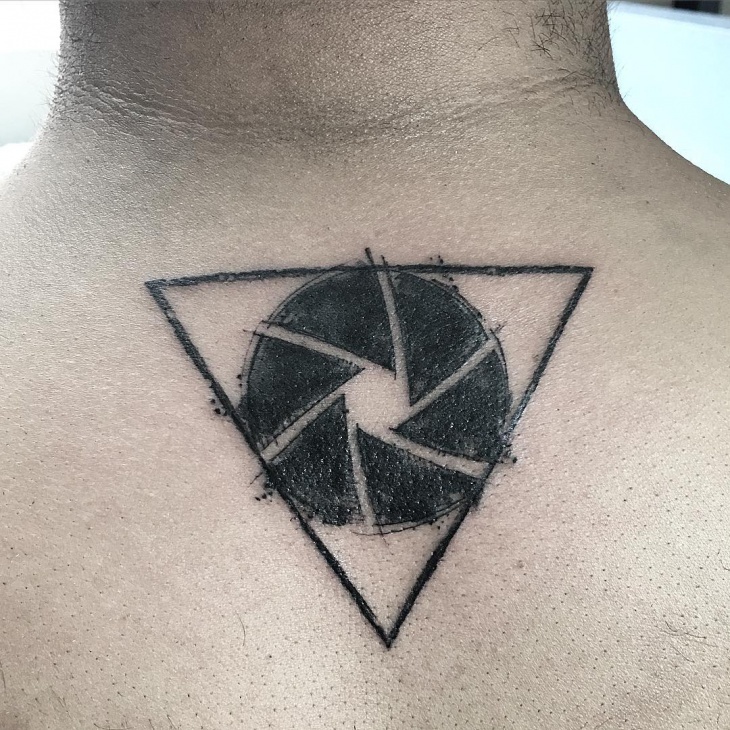 Geeky tattoos are cute and trendy. They can be divided into different categories like Japanese Anime, Role-Playing Games, Cartoon Characters, Super Heroes, Computer Games and Computer features. 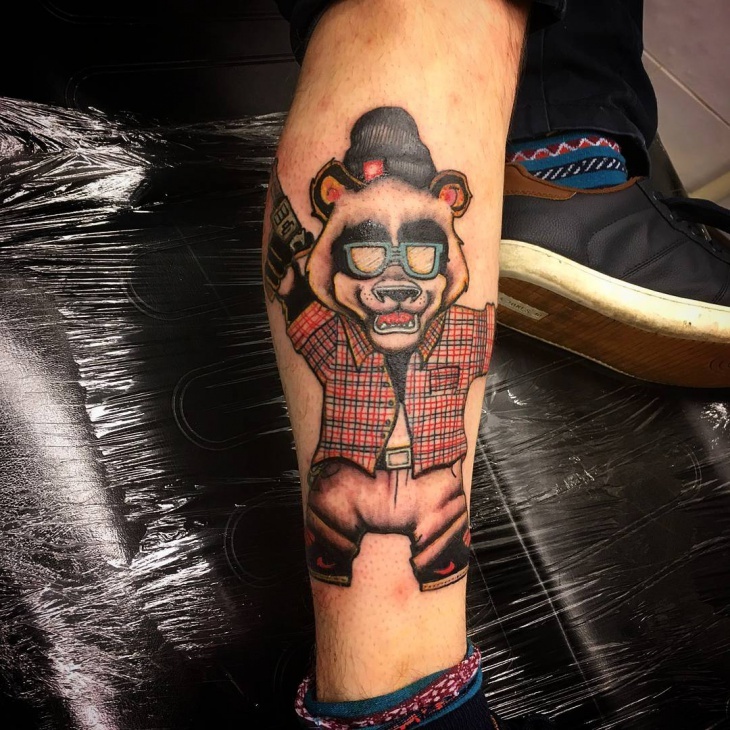 With the current level of popularity of this specific tattoo design, there is a possibility that it will stay trending for many years to come. If you like geeky tattoos, these design samples shown here should be of interest to you. 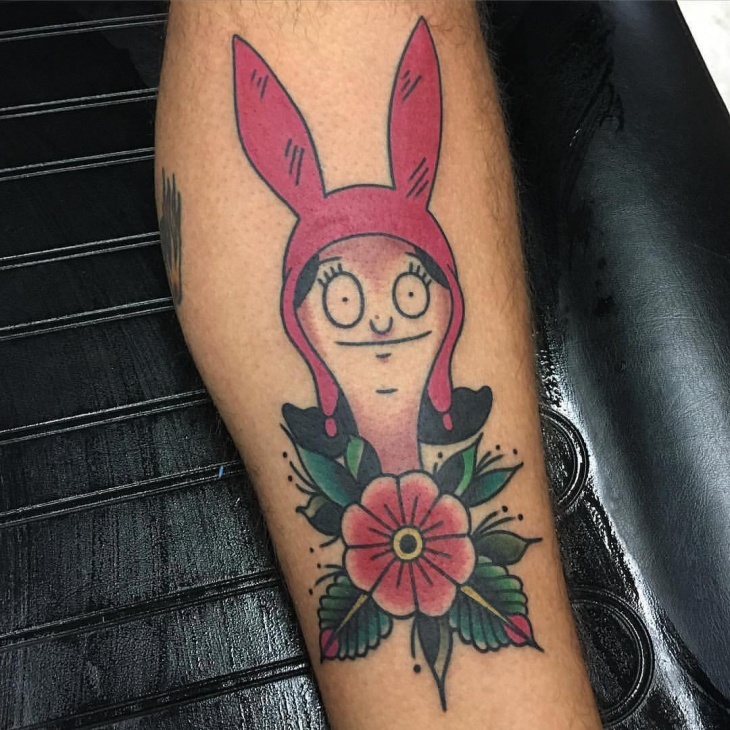 The best thing about this kind of tattoo design is that they can be enjoyed by both men and women, young and old. They can be simple in design and color distribution, which should appeal to people who like minimalist designs. 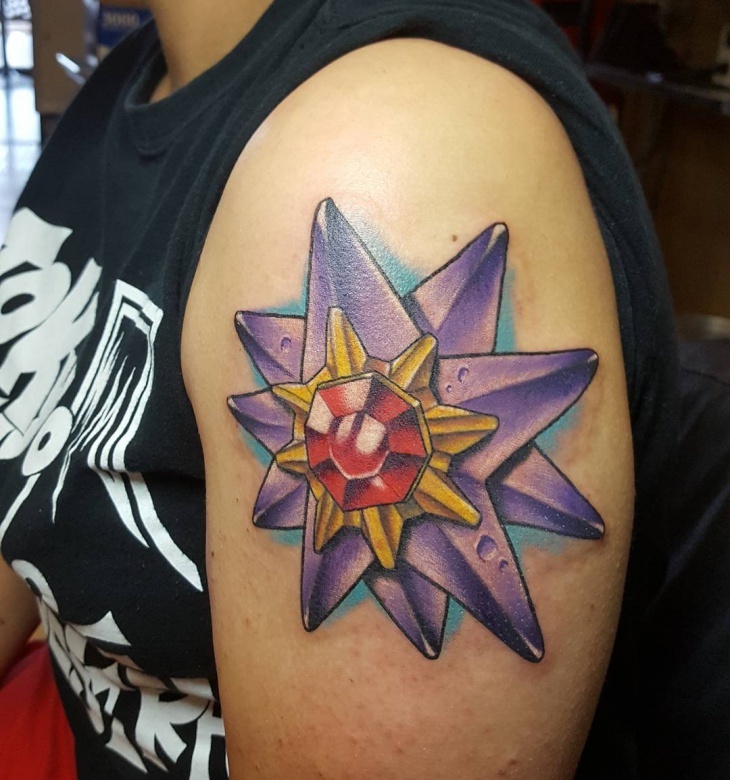 You can also chose to get flashy geeky tattoo designs in elaborate drawings.